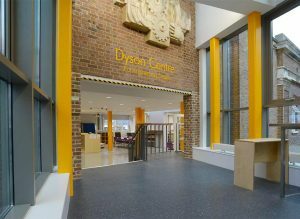 The Dyson Centre for Engineering Design is part of Cambridge University in the heart of the city. 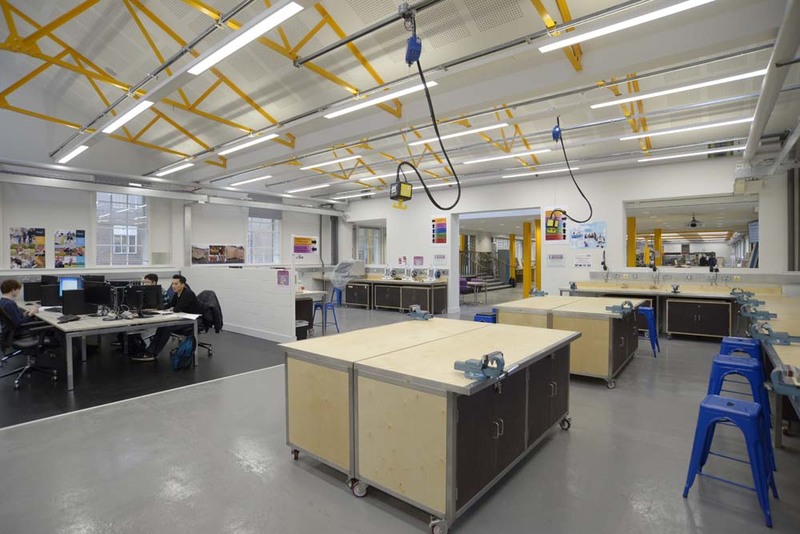 The facility, built with a £2.65 million grant from the James Dyson Foundation and matched funding from the Higher Education Funding Council for England, is a new space for engineering students to work on individual projects. 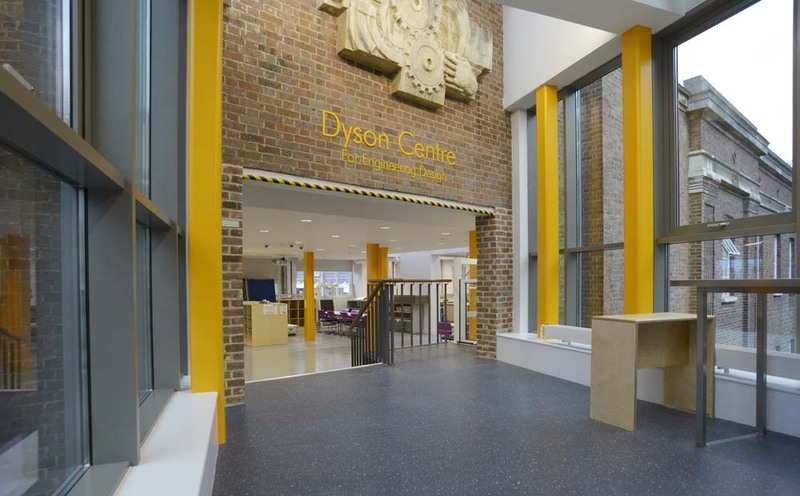 The Dyson Centre is equipped with tools for prototyping and making – from traditional hand- and machine-tools to modern computer-controlled machinery, 3D printers and laser cutters. 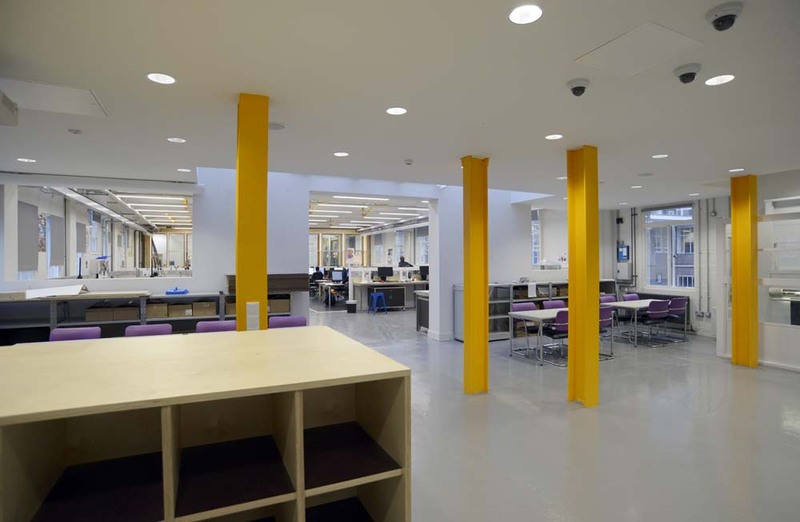 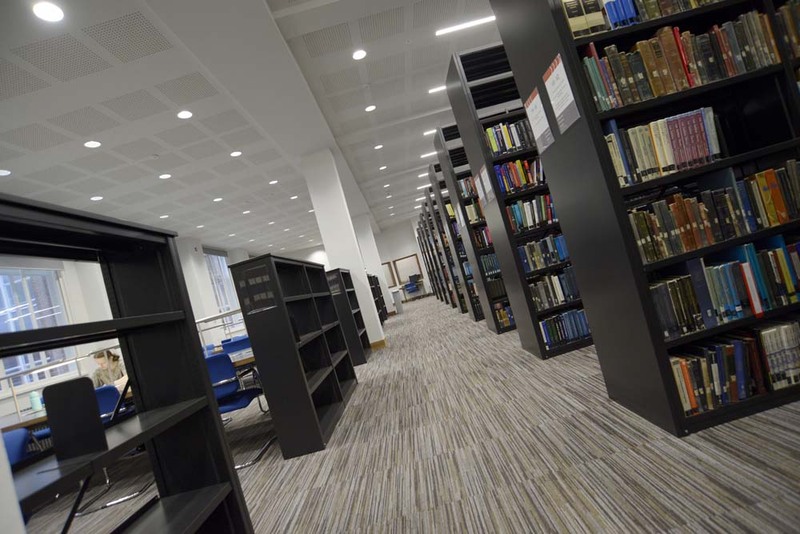 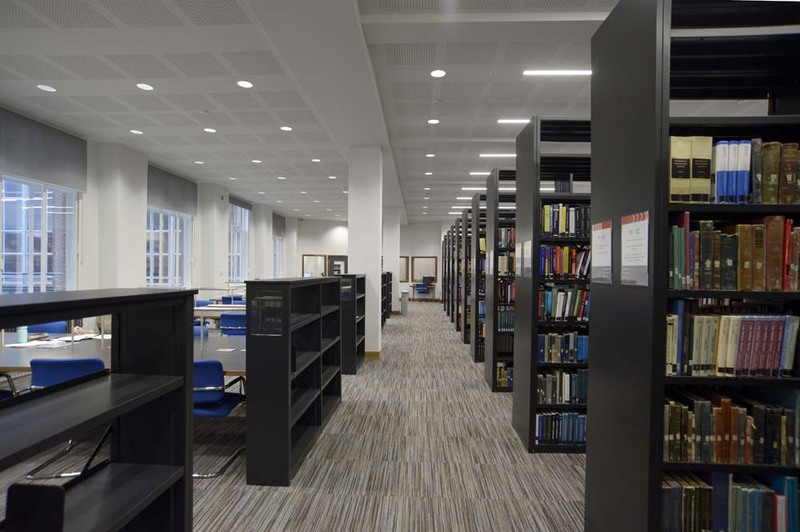 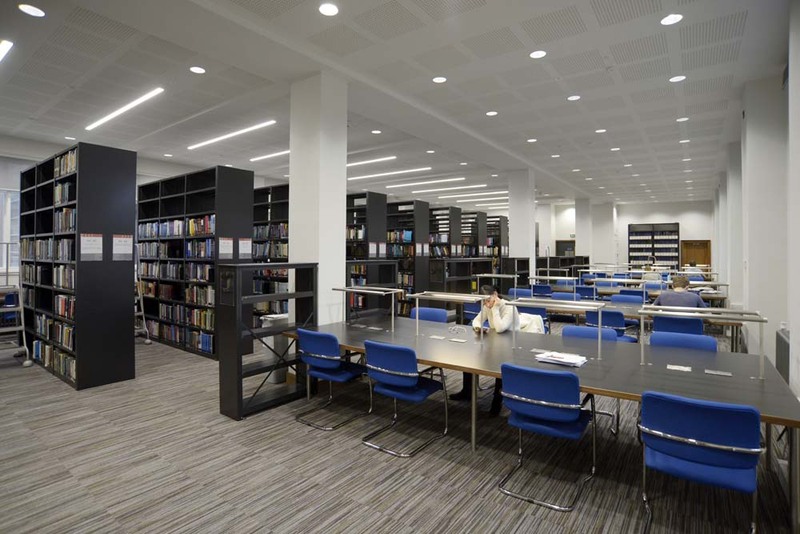 The centre has new modern workspaces and the library interior was also rebuilt, as well as a glass-link bridge connecting the library to the Dyson Centre. 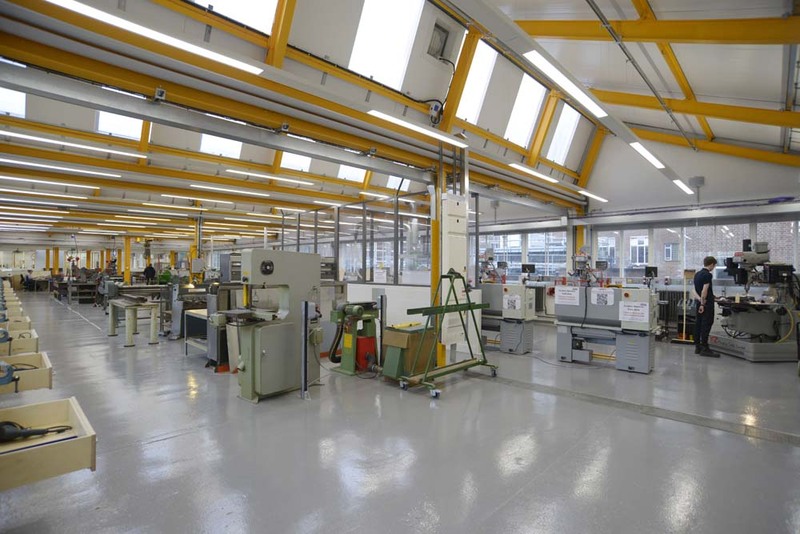 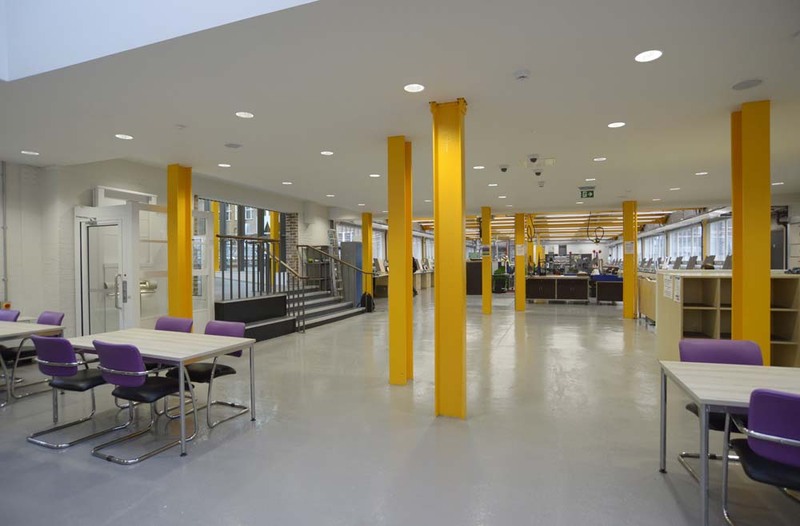 Our work on this major refurbishment of the four-storey building included applying ceiling and wall coating, painting of steelworks, and two part epoxy floor coatings. 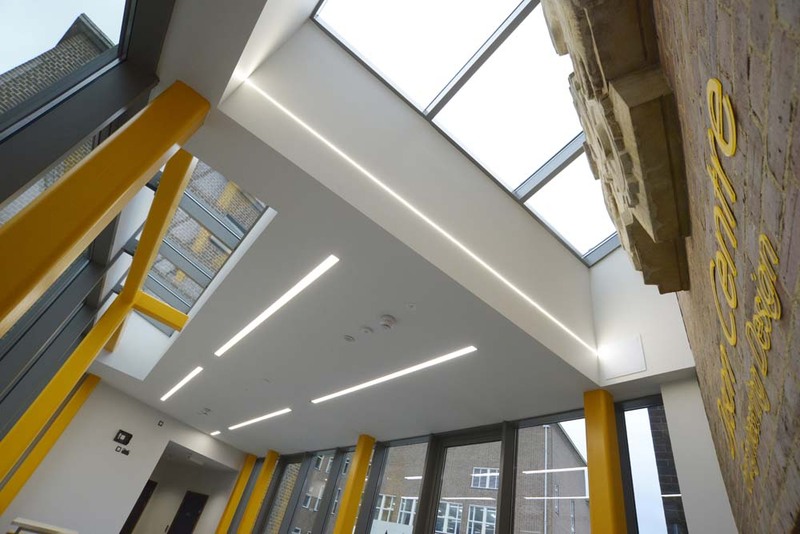 We’re proud to have been involved in this major development and think the striking results and outcome of our work is evident in the images below.